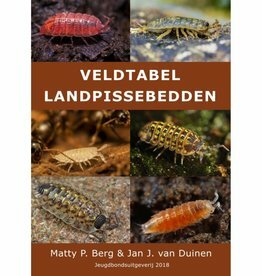 De Nederlandse regenwormen of the JBU highlight a relatively unknown animal group of invertebrates. And that while they are common worldwide, except in dry climates and in Antarctica. Because they dig tunnels in the soil and break down vegetable material, they have a major influence on the soil structure and the availability of nutrients. So earthworms are very important for plant growth and the dust cycles throughout the entire ecosystem. This makes them not only an ecologically, but also economically a very important animal group. 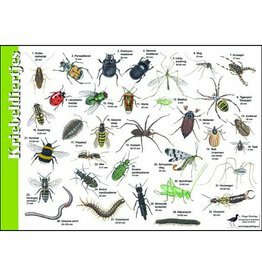 De Nederlandse regenwormen presents all 30 species occurring in the Netherlands in tables and species descriptions with detailed photos. The expected species are also included. These are all species that can be easily named in the field. With this clear identification work this unknown group can be examined. 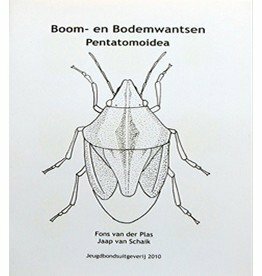 De Nederlandse regenwormen form a very useful guide for those who conduct research into soil (animals). Anne Krediet has been interested in nature from an early age, graduated as a biologist and specializes in macro photography. His focus is on what many people don't see. His fascination is mainly with everything that is small and unknown: butterflies and day-owls, beetles, spiders, woodlice, millipedes, springtails, mosses, and so on. 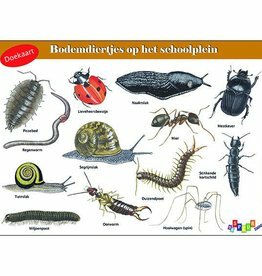 He works as a biology teacher and is very active in nature education, including for JNM, NJN, Stichting NatuurOntdekkers and KidzKlix.